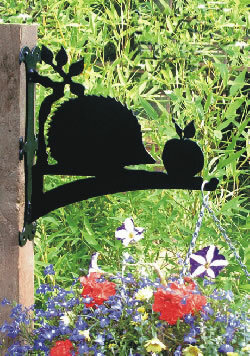 Wren Hanging Basket Bracket 13"
Robin Hanging Basket Bracket 13"
Hedgehog Hanging Basket Bracket 13"
Tractor Hanging Basket Bracket 13" Badger Hanging Basket Bracket 13"
This beautiful hanging basket bracket features an attractive garden bird, the Wren, a feature for your garden. Made from mild steel coated in High Density Polyethylene to stand the toughest weather, the brackets are easily fixed in place by using 4 screws (not supplied) through the back plate. Also available in a 16" (41cm)bracket, use the drop down menu under product options if you require this size. One year guarantee subject to the correct usage. The manufacturer of these hanging basket brackets can also do a vast number of other designs, please see our Support Info page for further examples. If you are looking for something special please contact us for availability and prices. Weathervanes and motif baskets in the same designs are also available. Pictures depict the design used for hanging baskets, weathervanes and motif baskets. This oxford shed is perfect for positioning against a fence of wall. There are many larger sizes available. 9'10"x6'7"
The Chatsworth summerhouse a rectangular building 1.52x3.05m, with an optional verandah. Balmoral Summerhouse 4.27x2.44m a large building perfect for year round use. Windsor summerhouse 1.83 x 3.05m a useful garden building featuring a stylish bay window. A semi-commerical greenhouse heater, the Proheater Deluxe with an output of 12kW. Available for use with LPG or Natural Gas. Many thanks to both your company and the couriers for a wonderful, speedy and efficient service in processing the order and installing the summer house, which we are delighted with. In particular, our thanks to you Karen for the helpful and caring manner shown throughout and shall not hesitate to recommend your company to other people. I have now erected the Gazebo - took 3 afternoons - that is looking really good - So again many thanks for your help and assistance with that. Take care and although a bit early - have a great Xmas. I will of course be recommending you to all my friends and interested parties. We bought a Tuin log cabin and we put it together in a couple of days......very pleased well packed and went together easily took two of us 2/3 days including the felt roof painted it cream looks fantastic really pleased with it run in electric and water using it as a laundry room plus storage thoroughly reccomend these cabins. Fantastic to do business with. 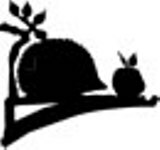 Excellent web site,service and delivery. Special thanks to Sarah who was so helpful and pleasant at all times. Our log cabin (Wolfgang) looks great, exceeded all expectations! 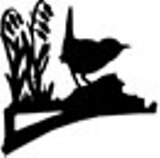 The quality is extremely good for the price.. Would highly recommend. Many Thanks again. Just to let you know I am ecstatic about the summerhouse and the guys who assembled it were brilliant and went out of their way to do a brilliant job in a heavy downpour! 12/10 marks! We have been hard at work adding new products to our site. 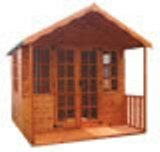 We have added 100's of products from Log cabins to Wooden Sheds to Metal Sheds to Gazebos and so much more. Why not take 5 minutes to have a look through our products and see of anything takes your fancy.